Refrains about financial hardship are ubiquitous in contemporary Nigeria, frequently expressed through the idiom “to be a man is not a one-day job.” But while men talk constantly about money, underlying their economic worries are broader concerns about the shifting meanings of masculinity, amid changing expectations and practices of intimacy. Drawing on twenty-five years of experience in southeastern Nigeria, Daniel Jordan Smith takes readers through the principal phases and arenas of men’s lives: the transition to adulthood; searching for work and making a living; courtship, marriage, and fatherhood; fraternal and political relationships; and finally, the attainment of elder status and death. 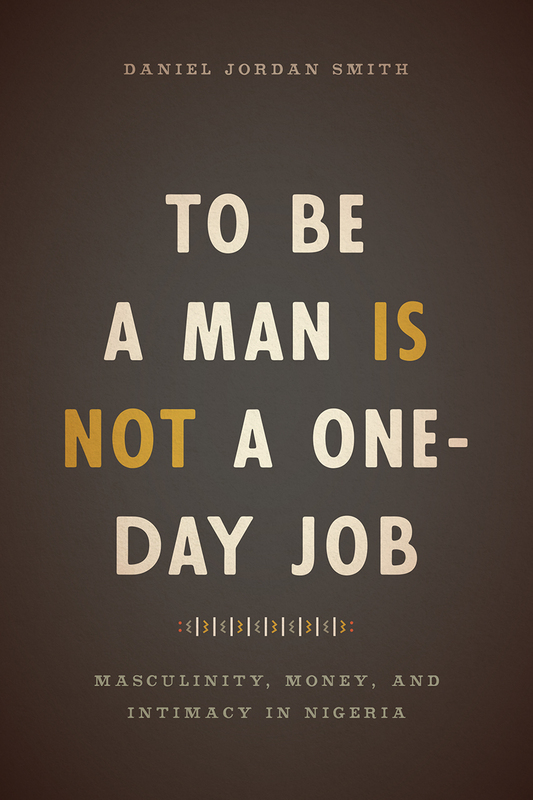 He relates men’s struggles both to fulfill their own aspirations and to meet society’s expectations. He also considers men who behave badly, mistreat their wives and children, or resort to crime and violence. All of these men face similar challenges as they navigate the complex geometry of money and intimacy. Unraveling these connections, Smith argues, provides us with a deeper understanding of both masculinity and society in Nigeria.